Cult filmmaker Kevin Smith has had a long, varied career, and he hasn't ruled out sequels along the way. In 2007, he released Clerks 2 and is currently working on a third instalment. In addition, he plans to follow up his beloved 1995 classic Mallrats with a new sequel. The film's title has us speculating wildly. Will this be a Muppet Babies style take on the original, complete with diapered versions of Jason Lee's Brodie and Joey Lauren Adams' Gwen? Will it be a prequel along the lines of the lesser-known Dumb and Dumberer? Or will it simply follow an aging Gen X-er as he or she sits around in a mall food court and complains about the brattiness of millennials? 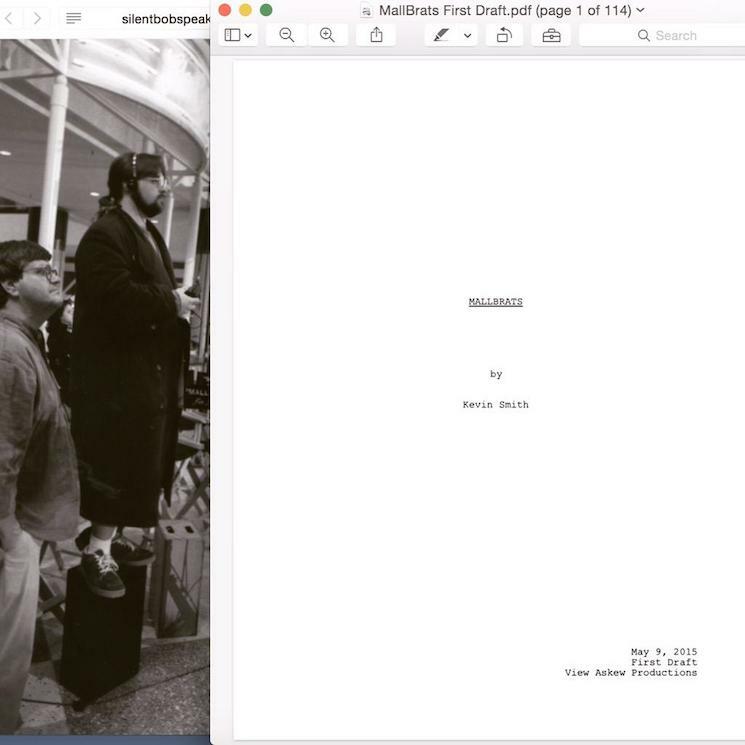 According to /Film, the forthcoming MallBrats will feature 18 returning characters from Mallrats. The screenplay is dedicated to Jim Jacks, who produced the original film and passed away in 2014.